With over twelve years of experience as processor manager, loan officer, and executive management, Michael Yi has a proven record of honesty and professionalism. 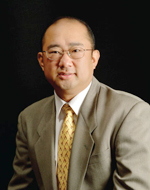 Michael Yi is a graduate of College of William and Mary (Class of 1989). He grew up in Northern Virginia. He was also a former software developer bringing many technological tools to First Belmont Mortgage. Michael Yi formed First Belmont Mortgage with the sole purpose of bringing the utmost quality in mortgage origination service while providing the most competitive rates. At First Belmont Mortgage, we help you find the best mortgage loan with the right financing plan to meet your budget. First Belmont Mortgage was founded on basic principle of providing superb service with excellent rates. Our goal is to make the loan process as simple and worry-free as possible. We pride ourselves in offering the highest level of customer service, and appreciate the opportunity to earn your business. Whether you want to refinance for a lower mortgage rate, get a new home mortgage, home equity loan or second mortgage, our purpose is to satisfy your needs. By putting you first, we assure you a pleasurable transaction. Mortgage Questions and Answers 1. I have an excellent credit, income and savings. If I am in the market for a mortgage, should I look for the best rates from companies advertising on the internet or newspaper? [TOP] On any given day, you are bound to find a rogue company who will beat any other mortgage company. However, be wary of these type of companies as their main objective is to rope you in and move the process along until it is too late for you to cancel (i.e. - purchase deals). Remember that because the market is constantly changing, the rate that is being quoted is not guaranteed until you have a signed written confirmation from the broker/lender. Unless you are comparing all broker/lender on the same day (sometimes within a few hours) AND they all have the same exact information from you, you are not getting an "apples to apples" rate quote. Also, low rate quote does not equate to good service. Remember that most brokers/lenders that low ball the rates are relying on volume business. Most borrowers would be relegated as just a number in their loan pipeline. In many cases, unless you ask a specific question, they will rarely volunteer any helpful advice or guidance. 2. When is it worth it to do a rate and term refinance? [TOP] To save money on refinance, you must stay in your house longer than the "break-even" period (the period in which your interest savings covers the refinance "hard"/non-escrow costs). Must make at least the minimum down payment for qualified loan program whether going Conventional or Government depending on your credit rating and Debt to Income ratios (DTI). If Conventional, you should at least make a 10% down payment. However, note that mortgage insurance (MI) will be required. Furthermore, most MI companies had more restrictive guidelines than Fannie Mae or Freddie Mac guidelines. Thus, the lender may approve your loan, but can ultimately deny your loan because the MI company rejected your loan application. In order to avoid MI, you must put at least 20% down (of which all of it can be a family gift). If Government Loan (FHA or VA), on put enough down payment to qualify for the mortgage because you must pay MI no matter how much you put down. VA loan does not require a down payment unless your loan amount exceeds the max guaranteed amount (417k in Northern Virginia areas). If your loan amount is an "Agency" Jumbo (Fannie Mae and Freddie Mac Jumbos), which are up to $625-729k, then you should put at least 20% down. Although some MI companies will insure these Jumbos, many have highly restrictive guidelines that make it really difficult to qualify for MI.